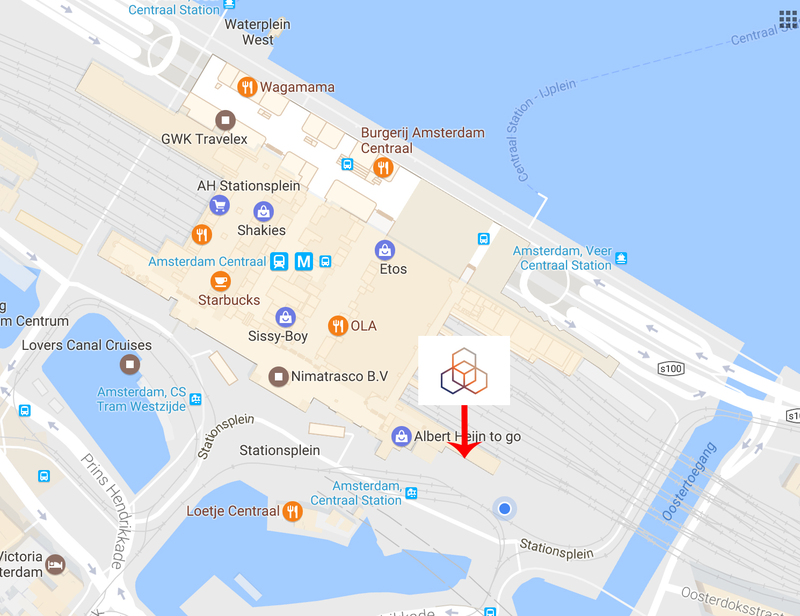 Our offices are located in the east wing of Amsterdam Central station. Trains leave the airport to Amsterdam Central station several times an hour. When you get to Amsterdam Central station, exit the station on the south side (facing towards the centre of the city) and take a left. Walk along the front of the station heading east. You will see an intercom at Stationsplein 11 with the RIPE NCC logo. Many trams and buses start and terminate at Amsterdam Central station. Our office is located in the east wing of the station (so if you're facing the station, we're on the right side. You will see an intercom at Stationsplein 11 with the RIPE NCC logo.